School trips are exciting for any student, and this excitement is only heightened when the trip involves the chance to participate in fun activities or travel to a foreign country that they love or simply haven’t had a chance to visit before. This experience is even better if you combine the two, which is why sports tours (particularly ski trips) are a great choice for your next school trip. They give students an easy way to experience and learn about a new culture while taking part in fun sporting activities and excursions. Ski trips are especially beneficial for children and young adults because they’re an exciting experience, as well as an educational one. Not only can they immerse themselves in a completely different culture, but whether they learn how to ski from scratch or simply want to hone their skills at some of the most impressive resorts across the globe, it’s a trip they’ll always remember. Additionally, there’s no feeling like waking up and looking at the stunning landscape of bright blue skies and snow-topped mountains. 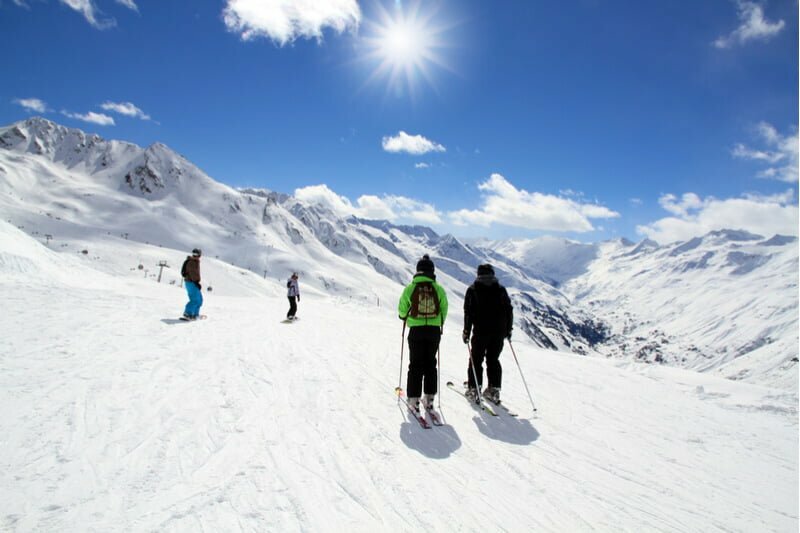 However, after deciding to take your pupils on a ski trip, the next thing on your list should be choosing the location, and the key decision here is deciding if you want to travel long-haul or short-haul. This is particularly vital when skiing to ensure you get the most out of your experience. This is something that we care a lot about at inspireski, which is why we handpick our resorts for their reliable snow records, suitability for various skill levels, and the unique excursions they offer. Ensuring you and your pupils can communicate is vital. With that in mind, going on a long-haul ski trip to Canada or the US will ensure that there isn’t a language barrier, and you can communicate with the locals as quickly and easily as possible. On the other hand, a short-haul trip to a European location (like Italy) will give your students a great opportunity to practice a foreign language in its home country or even inspire them to learn it! Most importantly, the opportunity to explore a new culture will offer your class a completely different experience. Whether this is their delicacies or local laws, this can be a shock to adapt to. At inspiresport, we’ve done this research in advance and can advise you on this, as well as help you choose the best location to suit your needs. If you’re after a picturesque view, both short haul and long haul destinations will also offer this in abundance, but Canadian resorts will typically have a more remote and rustic feel due to their latitude and sprawling skies. Despite some modern buildings, European towns will tend to have more traditional architectural feel than those in Canada and the US. Trips can be price sensitive, so it’s important to bear this in mind when organising yours. If you have a limited budget to work with, a short-haul trip to a European country will be more cost-effective option than if you were to travel to the likes of Canada or the USA. Flights will be cheaper as you’re closer to the UK, and in some cases, you’ll be able to save money by travelling by coach instead. At inspireski, we know that budget can be a deciding factor when choosing to embark on a sports tour. Whether you want to book a long-haul or short-haul trip, we can offer accommodation that suits your budget. With our Price Match Guarantee, we’re also happy to match the price of any quote you receive for the same trip – from the travel to the accommodation. It may be a big part of it, but you don’t go on a skiing trip just to hit the slopes. Your students will also want to see the sights and take part in any other fun activities on offer! Each resort will have a different range of excursions and activities, ranging from tubing, to fun day trips to the cinema. Because we have great relationships with a range of resorts, we have a list of activities that are available for you to book during your stay, and every one of these has been vetted for safety and quality. 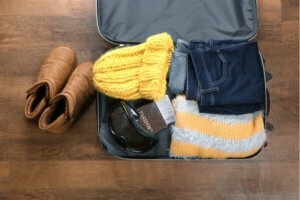 However, it’s important to keep in mind that long-haul trips tend to be for a longer period, so you have more time to explore what the resort and country has to offer. If you book a longer trip to a long-haul location such as the US or Canada, your pupils can spend a day in interesting, thriving cities like Quebec or New York. It’s likely that many of your students won’t have travelled to these before, which will make their trip even more exciting! However, while a visit to New York is great for the hustle and bustle, a short-haul trip to a European resort will often involve trips to small historic towns. This offers your students a completely different experience. A short-haul ski trip to a European location gives pupils and teachers a chance to experience a culture that’s completely different from their own and practice speaking a new language without needing to travel too far from home. However, a long-haul trip to Canada or America will take you truly out of your comfort zone while still providing a comfortable familiarity due to there being no language barrier. Due to many of the resort’s locations, you can also plan unforgettable day trips to some of the world’s most exciting cities, from New York to Quebec!